Correctly predicting the weather is about as easy as eating a handful of screws, yet we keep attempting it day after day. Sometimes we get it right; most times we don’t. However, weather information is always pertinent and it never hurts to have weather data at the tips of your fingers. 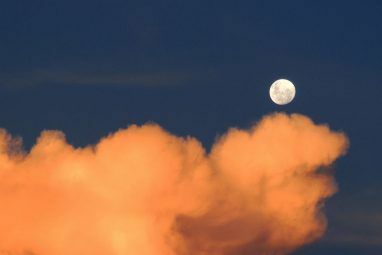 Yes, it’s true that predicting the weather is nearly impossible to do with any semblance of repeat precision, but that doesn’t mean that all weather information is useless. Radar maps give us a quick overview of current weather situations. Temperature and wind conditions are always useful. Precipitation predictions may be wrong, but they at least give us a heads-up of what we can expect. So is it any wonder that there are over a dozen different weather apps available for Android on Google Play? Honestly, it doesn’t shock me in the least. What does shock me, however, is the quality of most of these apps. They’re all worth a try. 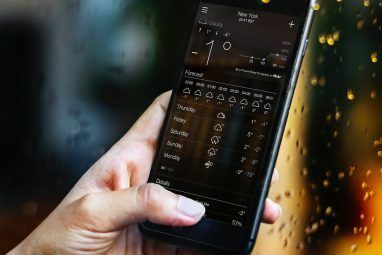 I recently wrote a full article on Weatherbug and my opinion has not changed – this is the best free all-in-one weather app you’ll find on Android. Using a combination of weather stations, airports, schools, and other sources, Weatherbug delivers the most accurate local weather forecasts I’ve ever seen. The interface is sleek and well-designed, too. Other features you’ll find include: detailed weather conditions, one-week forecast, fast performance, battery drain protection, radar maps, pollen charts, and lots of customizable options. The premium version is available for $1.99. Over the years, Weather Underground has built an impressive reputation for being one of the most reliable and in-depth weather data providers in the world. They pull data from over 22,000 weather stations globally, allowing them to personalize weather reports to your location. Their clean interface is straightforward, presenting information without distracting flashy effects. Other features you may be interested in: hourly forecasts, weekly forecasts, animated radar maps, interactive weather maps, and international forecasts. What can you expect in this app? Push notifications for weather alerts, radar maps, customizable themes, home screen widget, favorite locations, weather-related health risks, and sharing through social media. The Weather Channel is probably the best known name in weather – at least in North America – but their Android app fails to really distinguish itself from competitors. That’s not to say that this app is bad, because it’s not. It just doesn’t really shine in any particular way. It’s an all-in-one weather app that does what you’d expect and not much more. Features include: animated radar maps, hourly forecasts, three-day forecasts, ten-day forecasts, weather alerts, and temperature/alert displays in the notification bar. 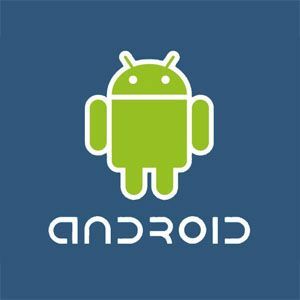 The GO team is known for their prowess in developing widgets, themes, and other peripheral tools used in Android devices. Based on their popularity, it seems like they’re doing something right. GO Weather is their attempt at creating a useful weather-based widget and, in my opinion, they’ve done a great job. With GO Weather, you can change themes, get detailed weather conditions for today, weather predictions for the next 24 hours, and five-day forecasts, as well as auto-refresh capabilities. If you don’t need an all-in-one app, try this widget instead. Rainy Days is different from most weather apps in that it focuses specifically on the radar map. It doesn’t interpret the data for you. It doesn’t lay out forecasts and predictions. Instead, it shows you as much accurate radar data as it can, then lets you interpret it for yourself. Rainy Days pulls data from buienradar, meteox, vaderradar, eumetsat, and nws. It combines this data with the features of Google Maps, providing you with a powerful system for navigating and interacting with the radar data. At the time of writing this article, Rainy Days only supports Europe, Iceland, Scandinavia, Africa, and USA (including Alaska, Hawaii, Puerto Rico, and Guam). Released way back in 2009, Thermometer has since accumulated over a million downloads with an average rating of 3.8. It’s not a weather app per se, but it fulfills one of the most important weather-related functions: determining outside temperature. Why use Thermometer? Because it’s the only application that pinpoints your exact location and delivers a temperature reading accurate to the nearest tenth degree. These temperature readings aren’t cached and they aren’t hours old–they’re current at the time you see them. If all you care about is the temperature, Thermometer is the perfect app for you. Some users complain about inaccurate readings, but I’ve had no trouble with it. The premium version is [No Longer Available] and removes ads, provides faster readings, more themes, and customer support. I like WTFweatherPro myself. The weather is accurate and its funny as well. I'm using GO Weather EX, and it works good. Go looks really good, I need to try it. After checking your post again, I decided to download Weatherbug new version, and now they have accurate weather info about Israel! WeatherBug has been my go-to weather app since the days before smartphones, when I used it on a PC. I've tried numerous others over the years, but always end up coming back to WeatherBug. Its combination of accuracy, information, ease-of-use and design just work for me. Recently been trying an app called SkyMotion that purports to be able to able to predict precipitation starts and stops down to the minute. Decent, so far, but needs a bit of work. Worth checking out. Predictions down to the minute? Wow, that sounds pretty awesome. I'll give it a shot when they've made it relatively reliable! Thanks for sharing. It does look good! I wish I knew about it earlier. Thanks! Go Weather looks very simple and beautiful.. I will recommend my friend to see that..
Hmm, good question. Don't know if Weatherbug distinguishes between different alerts.